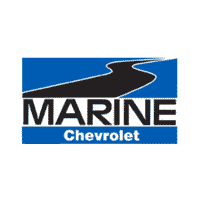 Marine Chevrolet is proud to announce our sponsorship of the Carolina Classic Golf Tournament on October 22nd and 23rd. We are sponsoring at the Gold level. The tournament will be held at Camp Lejeune Paradise Point Golf Course in Jacksonville, NC and Cherry Point Sound of Freedom Golf Course in Cherry Point, North Carolina. We anticipate a great turnout for this worthy event which raises funds for the Marine Corps Scholarship Foundation. This year marks the 17th year of the tournament. Since the first event in 1999, this two-day golf tournament has raised more than $1,700,000 for the Marine Corps Scholarship Foundation. North Carolinians participate in this signature event to provide life-changing higher education opportunities to the children of Marines and Navy Corpsmen. Prior to the tournament, a wonderful sponsors’ appreciation dinner is held during which longtime donors are commended for their abiding commitment to the Marine Corps Scholarship Foundation. The Marine Corps Scholarship Foundation is the nation’s oldest and largest provider of needs-based scholarship for military children.